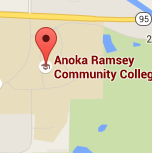 An event for Anoka-Ramsey students who want to learn more about college majors that lead to the career pathways of their choice. Explore the "What Can I Do with a Major In ..." tip sheets to understand how majors relate to various careers. "The approachable faculty is the main contributor to my success as a student. I took mostly STEM core classes where the classes were small, but the content could get pretty heavy. Every professor I had made me feel comfortable visiting their office to get help." "In the Business program I learned so much more than just the skills that employers are looking for. I learned the ability to exceed employers’ expectations as well as your own!" 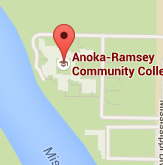 "If you already have a four-year degree in Nursing, or any of the sciences, and are interested in clinical research, Anoka-Ramsey is an affordable option for opening new career options. Because of the strong biomedical focus at the college, you will gain a lot more than just clinical knowledge."